Tenzou, the original protagonist from the first "Gal*Gun" game, is now available as a DLC character! It's Doki Doki Mode time! 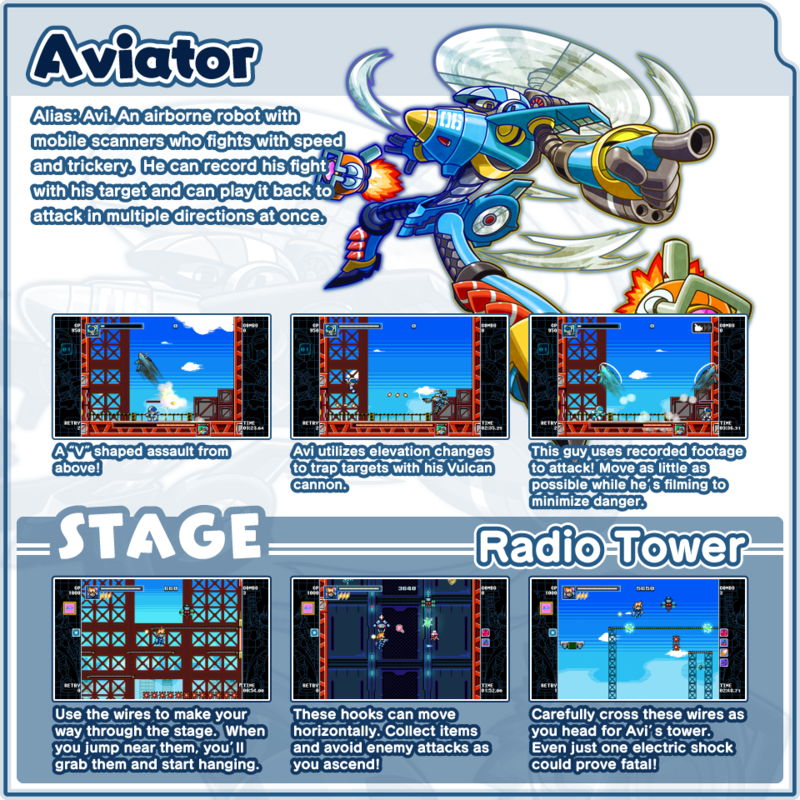 Mighty Gunvolt Burst Ver. 1.3 is coming, and it's finally about time for the rivals to our heroes make an appearance! RAY (Mighty No. 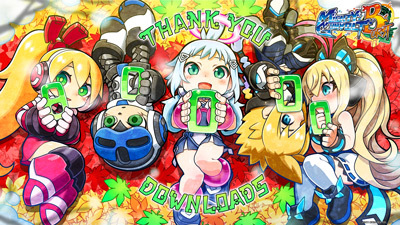 9), Copen (Azure Striker Gunvolt), and Kurona (Gal*Gun 2) will available for $1.99 each when the game updates on Dec. 28th! 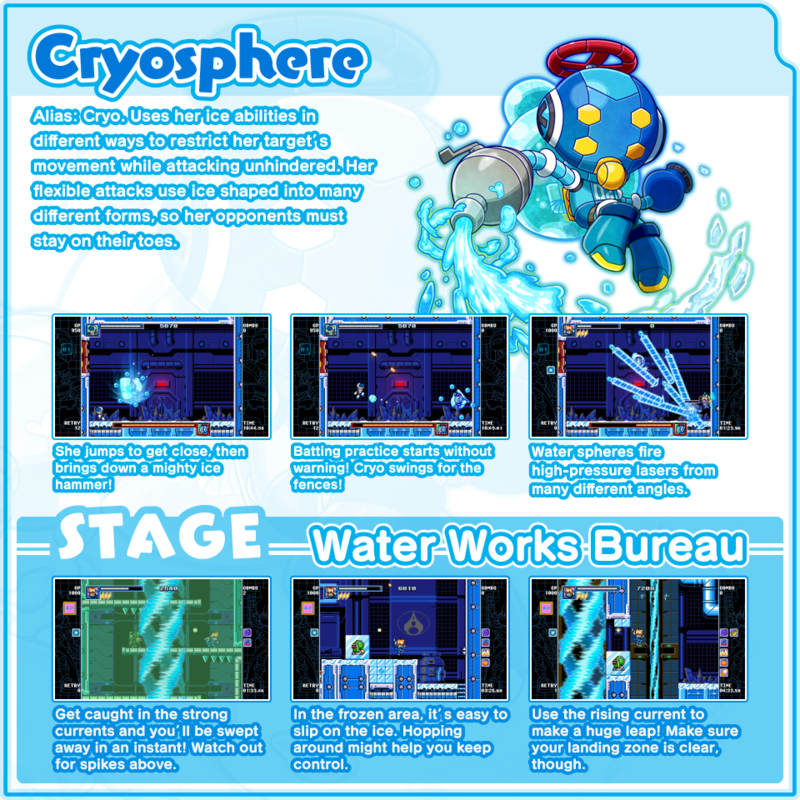 A new update to Mighty Gunvolt Burst is now available! Enter the virtual world as Mighty No. 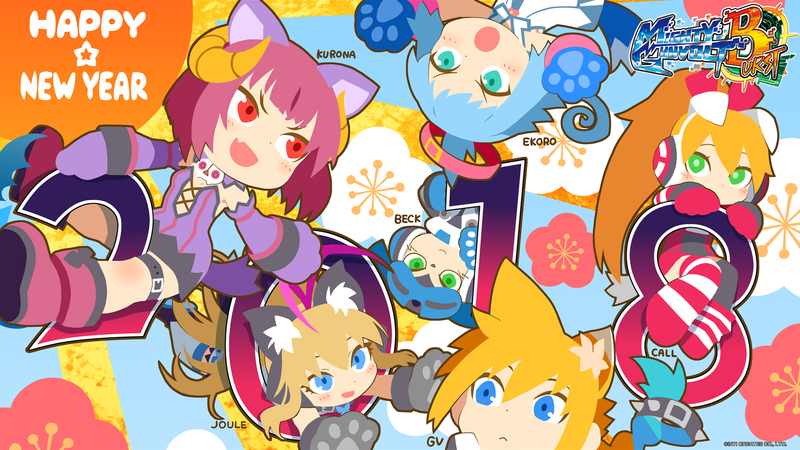 9 heroine Call and Azure Striker Gunvolt heroine Joule! Both DLC characters are available on the Nintendo eShop for $1.99 each! 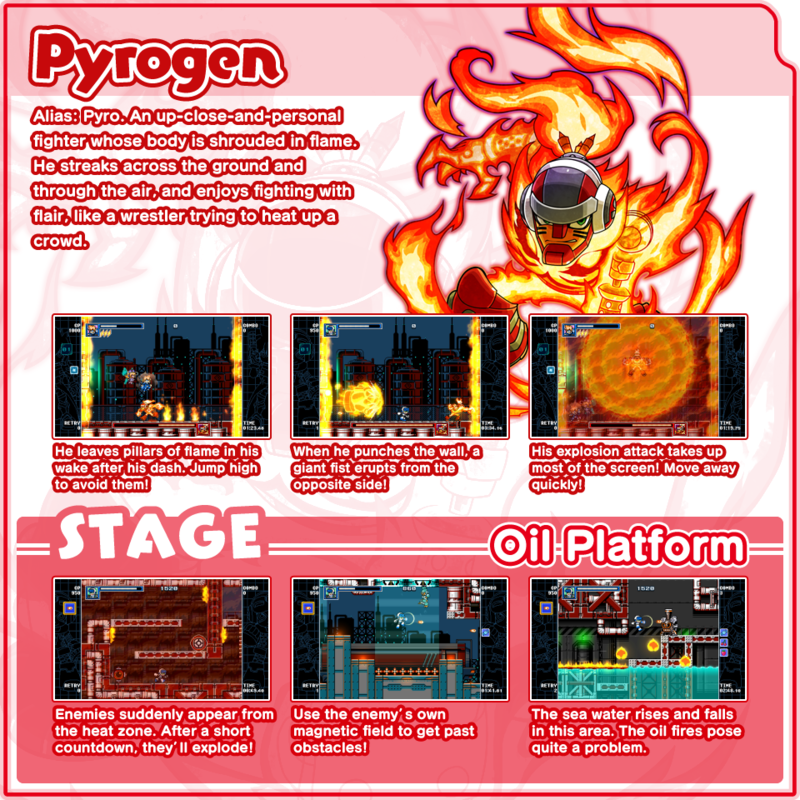 Ekoro is now available in Mighty Gunvolt Burst - for free! Make sure to get her before the free download period is over! 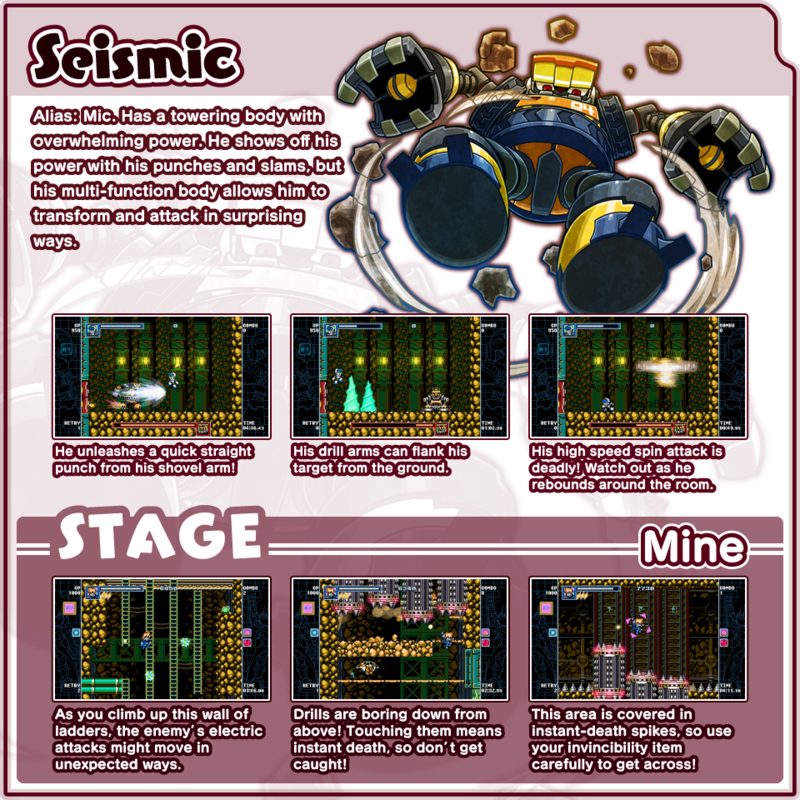 Details about our first DLC Character, Ekoro have been revealed! Check out her introduction and get ready to download her on 7/27! 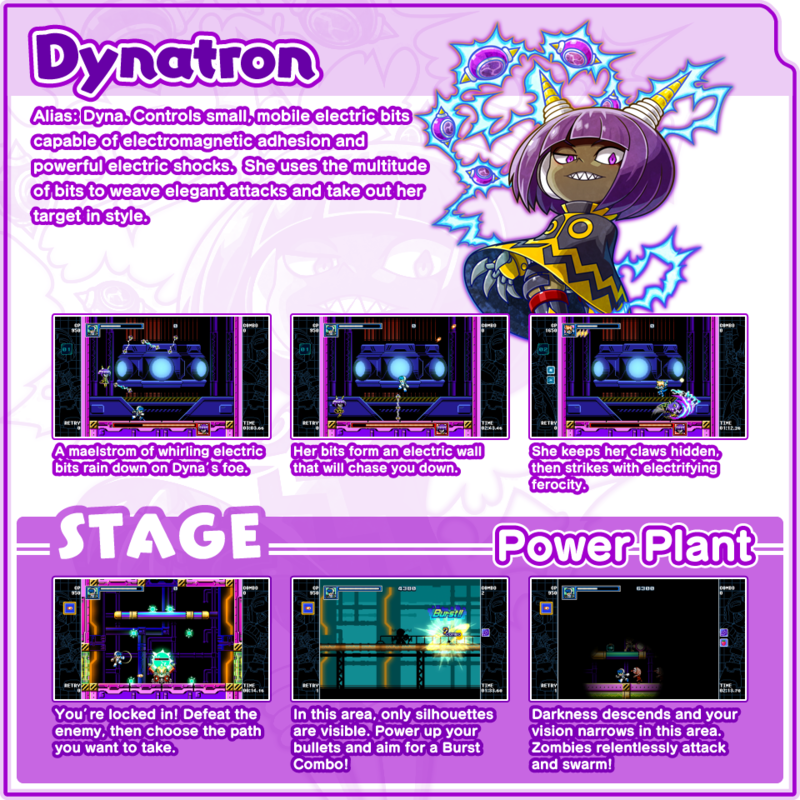 Mighty Gunvolt Burst is out today on Nintendo 3DS! 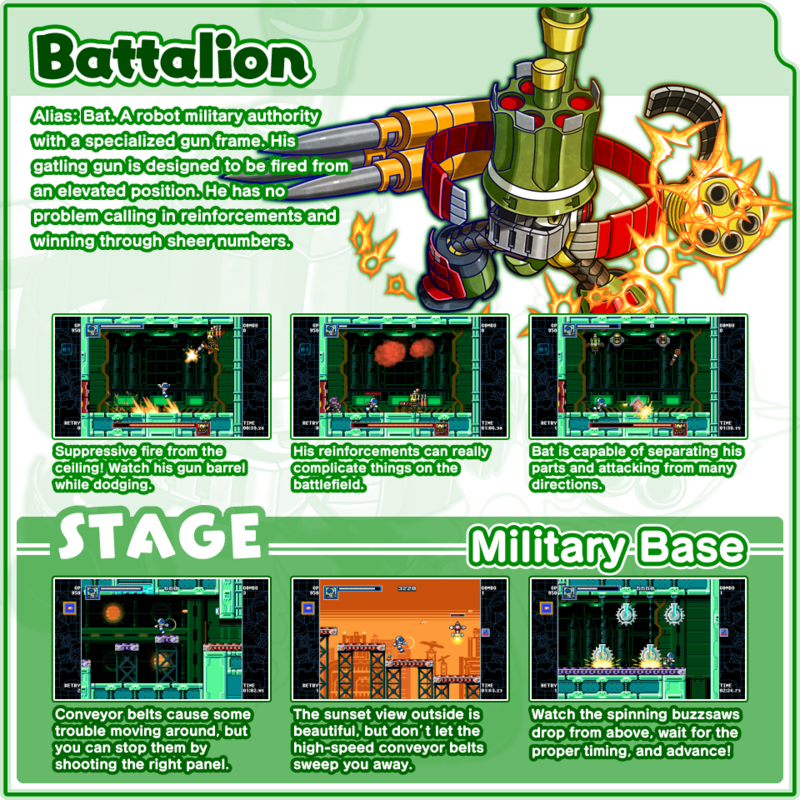 Get it now on the 3DS eShop! It's here! Mighty Gunvolt Burst is available today on the Nintendo Switch eShop! 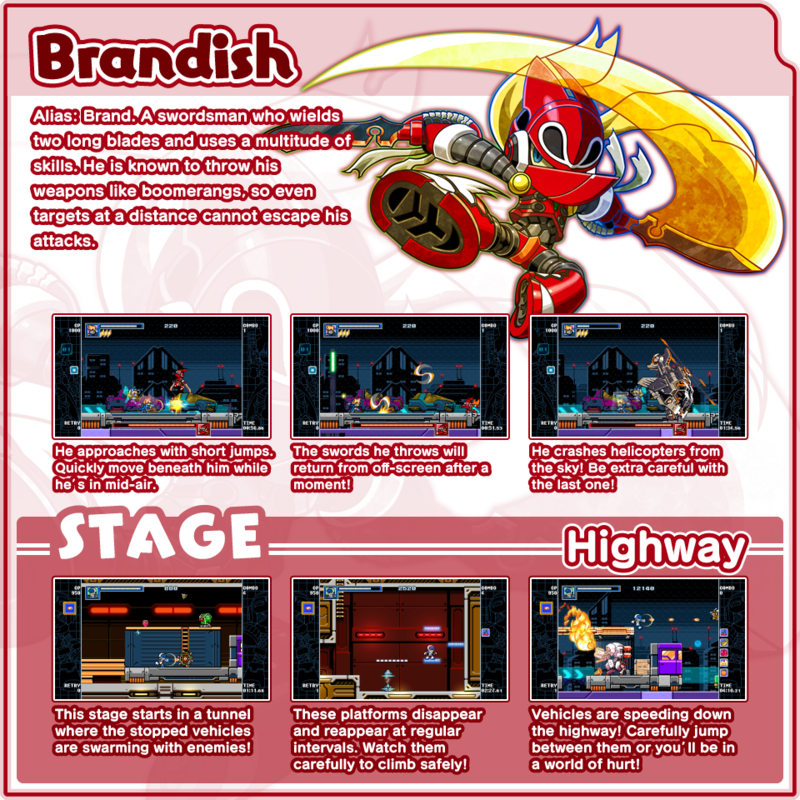 Get ready to start your Burst Combo! 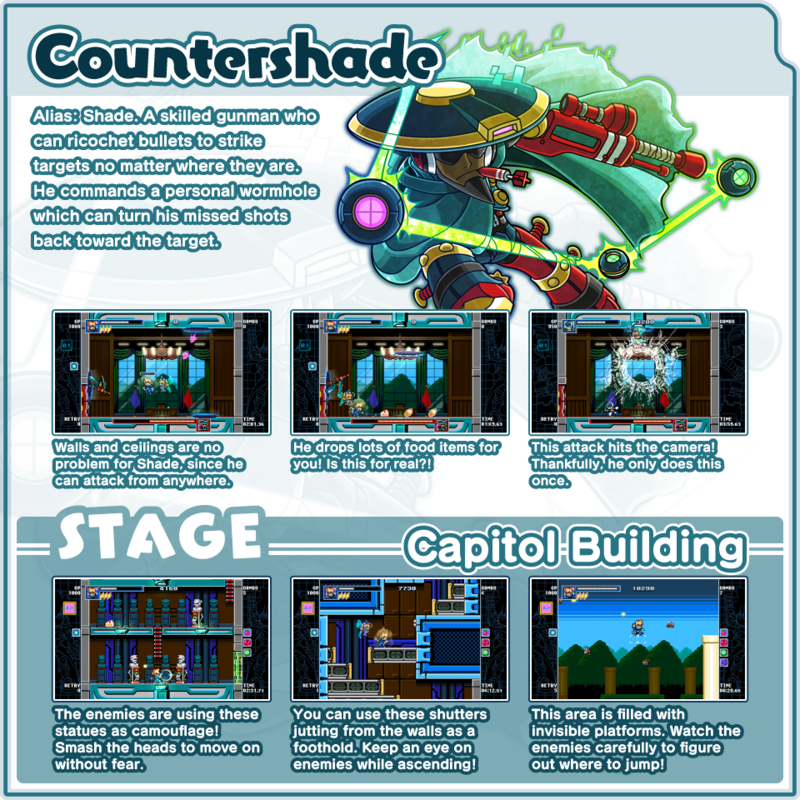 Profiles for all 8 bosses and stages have been added! Check them out and get an edge in battle! 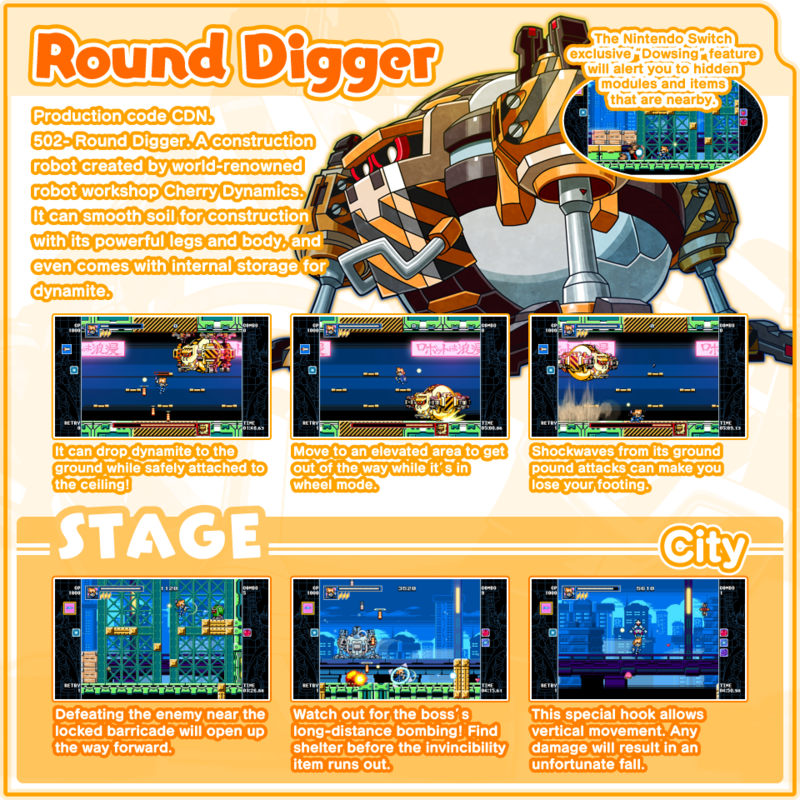 Mighty Gunvolt Burst official website now open! ※You can obtain the DLC character Ekoro as a bonus item by transferring save data from the demo version of the game to the retail version.※If you already own this DLC, there is no need to purchase this item again. 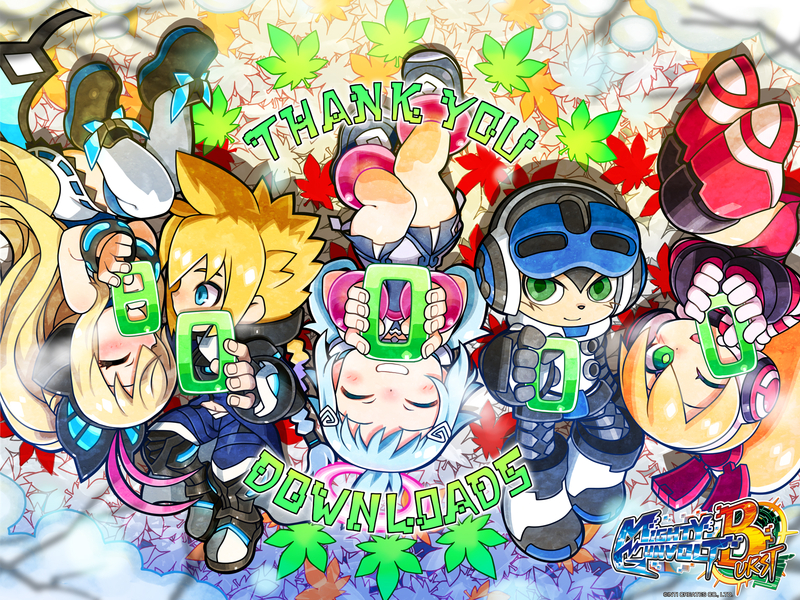 As a thank you to fans for reaching the 80,000 download milestone, character artist Yuji Natsume created this delightful new wallpaper featuring the heroes of the game enjoying a nice relaxing day together! Select the image that works best for your device, and enjoy! A very happy new year to you! 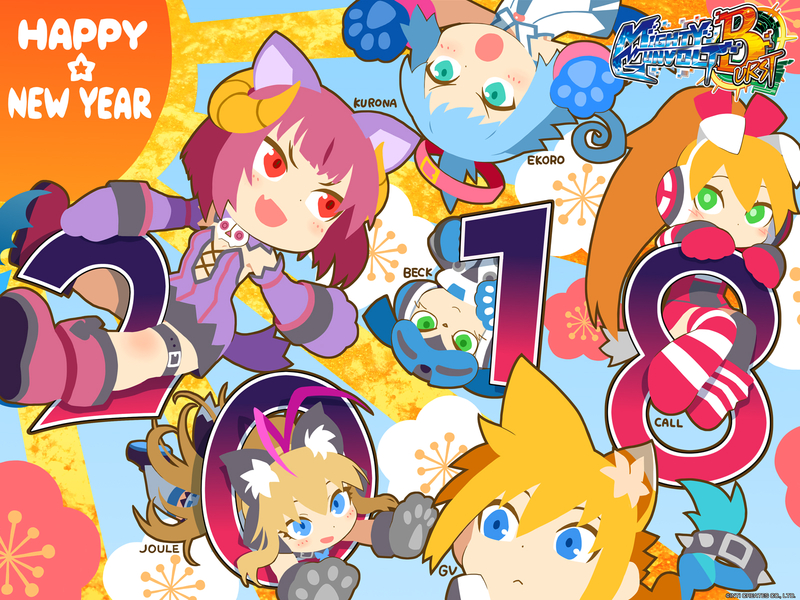 Enjoy this brand new wallpaper that features the cast of Mighty Gunvolt Burst dressed up to celebrate the year of the dog, 2018! ©INTI CREATES CO.,LTD.2017 ALL RIGHTS RESERVED.